Everybody knows the value of a good first impression. 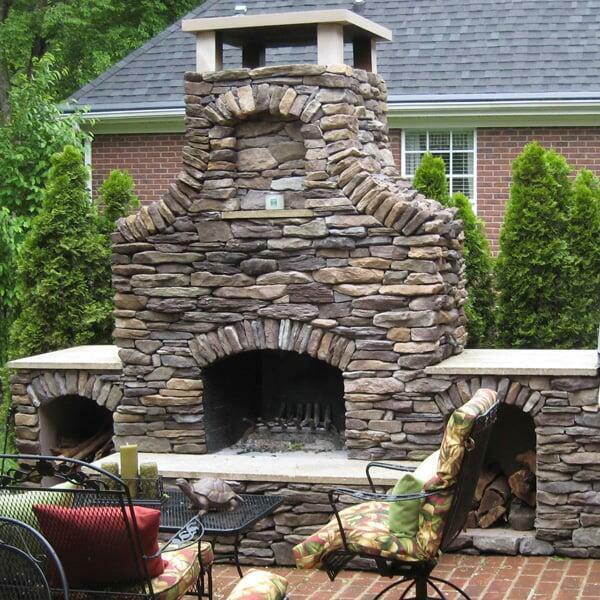 With this Fireplace Project you will positively influence your visiting guests and neighbors year-round! 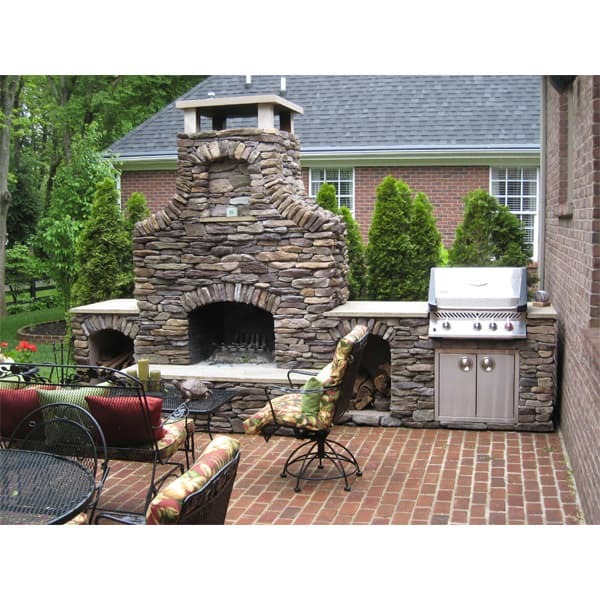 Build a fireplace that offers a space to warm up during the fall and winter along with an outdoor kitchen to have cookouts during the spring and summer! The stone exterior of the "Baird" Outdoor Fireplace is completely customized to your needs and desires, topped with a hartstone cap to break up the escaping smoke. Change out the materials for the perfect look; choose between stone and tile types and colors, from Mist Drystack Ledgestones to North Shore Limestones! And this project comes loaded with special features that can be customized as well. Notice the mantel shelf, perfect for sculptures, and the neat wood storage areas to the right and the left of the brick lined, masonry fireplace. Add on the built-in outdoor gas grill, and this Outdoor Room offers everything you would need to impress your guests while you entertain!